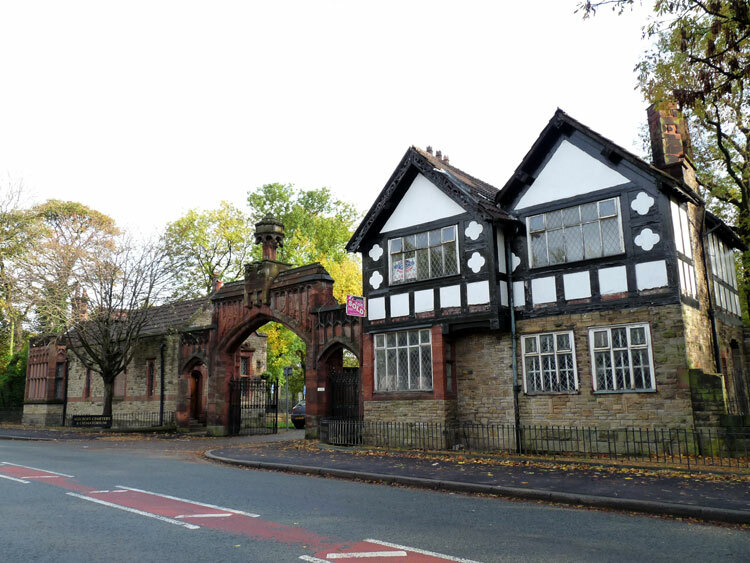 Salford (Agecroft) Cemetery contains 160 burials from both World Wars, - 49 from the First World War and 111 from the Second World War. One burial is that of a soldier of the Yorkshire Regiment. 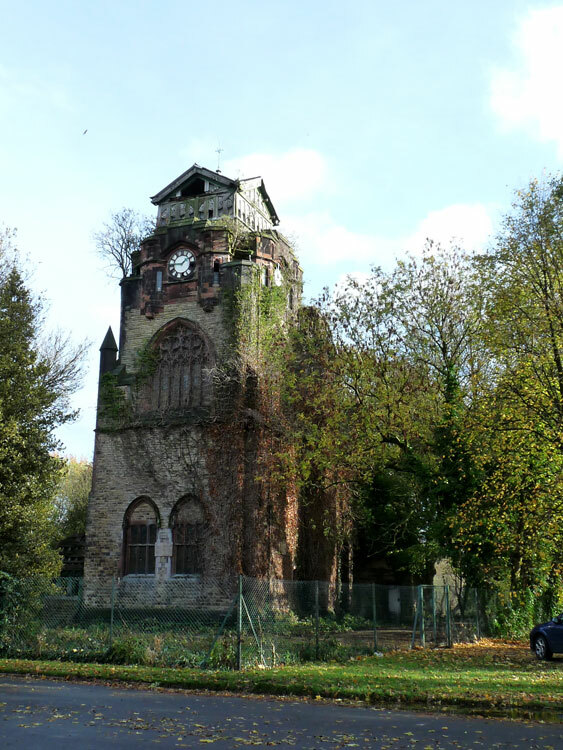 The cemetery, opened in 1903, belongs to the Corporation and covers about 20 hectares. Two of the soldiers, whose graves could not be marked by headstones, are commemorated by Special Memorials which bear the subscription "Known to be buried in this cemetery". The great majority of the graves are scattered, but there is a small group of eleven graves in Section 18, and the special memorials are in this group. We are very grateful to Mike Berrell for the photograph of the headstone and of the cemetery entrance and chapel. 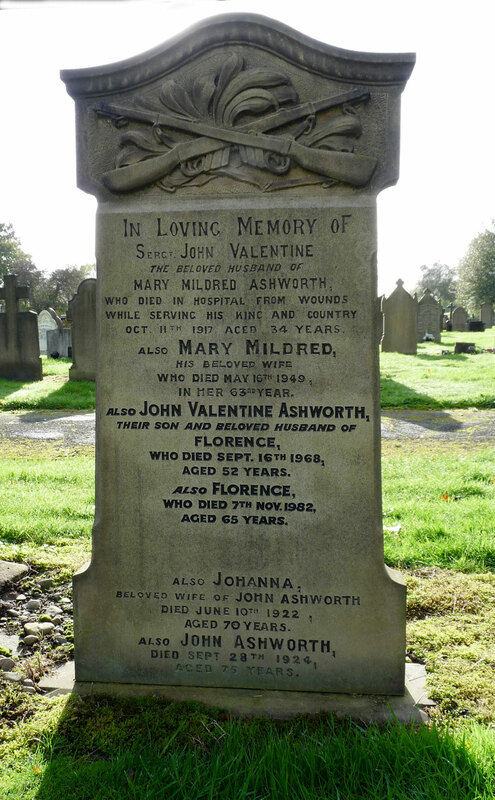 Serjeant John Valentine Ashworth. 7926. 3rd Battalion the Yorkshire Regiment. 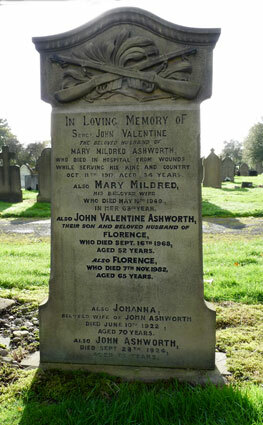 Died at home 11 October 1917. Born Broughton (Manchester), Enlisted Manchester.